2// Kate Moss Lipstick - I'm always on the hunt for great lipstick. I picked up a couple tubes of Rimmel's Kate Moss lipstick to try out and was pleasantly surprised, especially by the slight berry scent. I could get used to lipsticks smelling like something other than wax and...beans. ? 3// Warby Parker - It's no secret that I truly love Warby Parker. I recently went to the eye doctor after 5 YEARS of not going. What? Anyway, I need some new frames so I can see better! I ordered a new box of home try-ons and it just reminded me of how much I love that fact that you can try on a couple pairs in the comfort of your home for free, think on it, get a couple opinions and then order the ones you like! I might need some help deciding which ones to pick! 4// Thomas O'Brien for Target Sheets - Jon and I recently bought a new sheet set for our bed. It's amazing how a new set of sheets can make your bed feel luxurious and fancy. We were just saying this morning how cozy our bed is. Love me some new sheets. 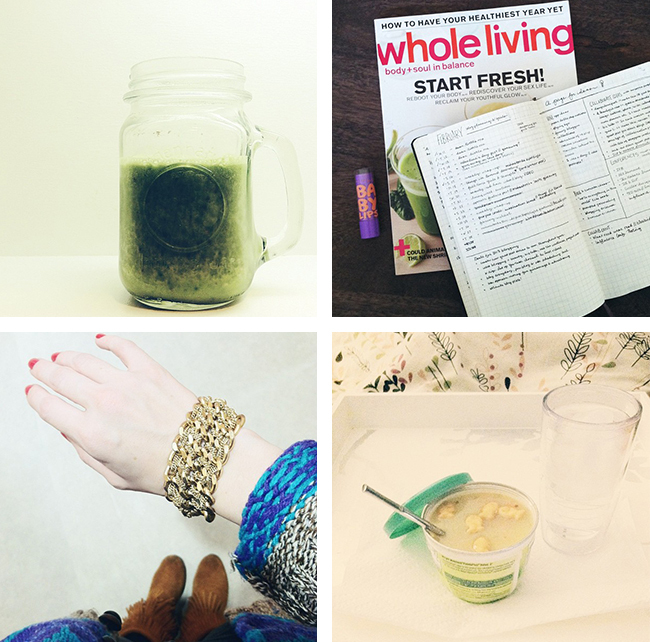 We had some exciting giveaways on the blog this month! I love being able to offer giveaways from some of my favorite companies of all time. If you entered into the $100 LUSH Gift Card Giveaway or the Minnetonka Fringe Boots Giveaway...I am ABOUT to announce the winners below! Winners have been randomly selected using Random.org. 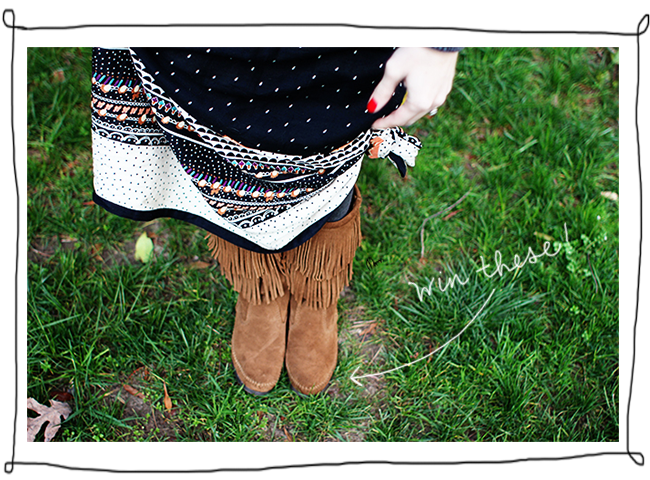 Winner of the Minnetonka Fringe Boots Giveaway is...#34, Jenny! Whooo! Please pick out your favorite color and send over your size preference. Time to rock out some fancy boots for springtime! Congratulations to you both!! Please contact me at Savannah@maiedae.com with your shipping information and your gift will be on its way! Happy last day of February, ladies! 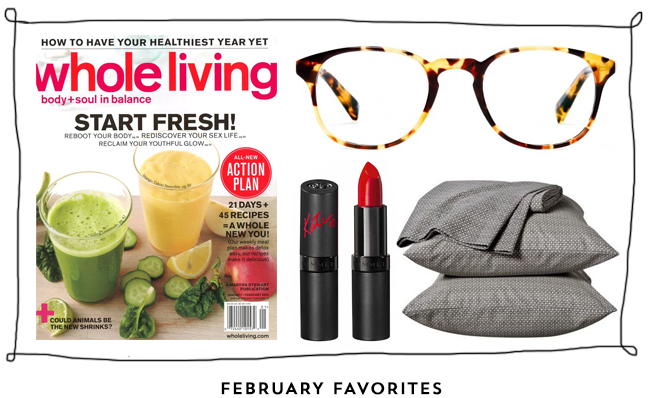 Be sure to check back later for a round-up of my February favorites! I can tell this is going to be one of my favorite outfits as the Georgia weather turns slightly warm, slowly but surely. :) Don't you love when you find those pieces in your wardrobe that become your favorites and staple items for a long time? 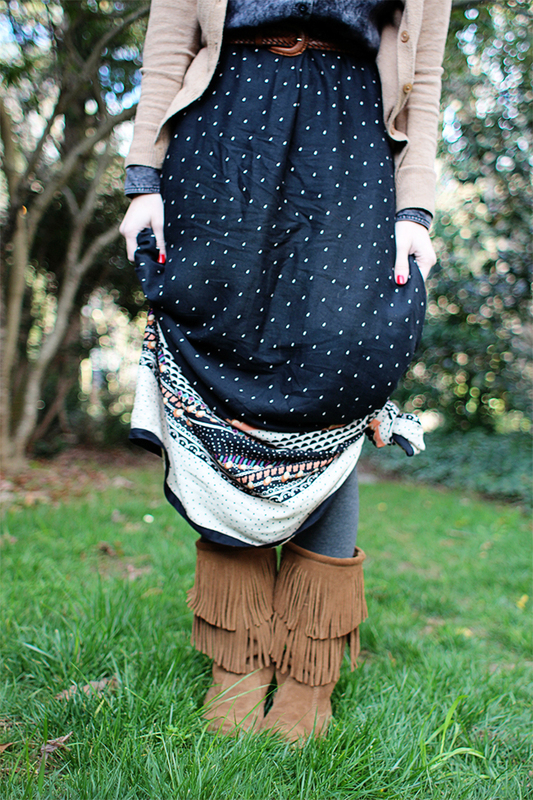 This button up top, maxi skirt, and fringe boots are definitely that for me. 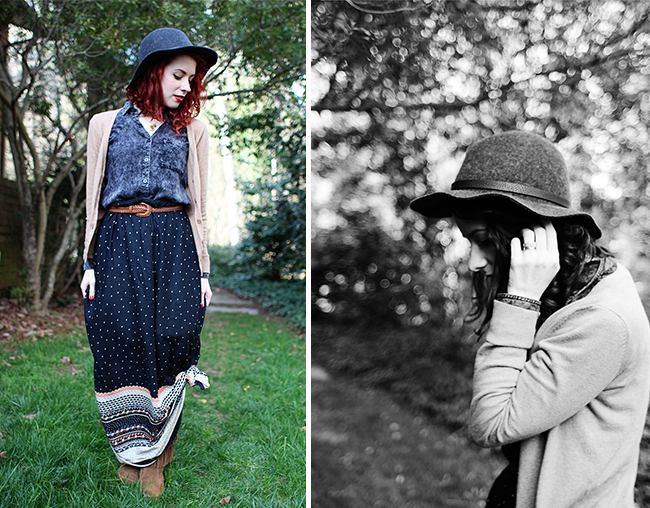 You know when you can pair your favorites together that it's going to be a great outfit! Dani of High Walls - Must-Haves // My two 'must haves' would have to be: a good book - I believe in always keeping my brain active and inspired - I'm currently reading through the Sherlock Holmes stories after my boyfriend bought me the anthology for Valentines Day! Secondly, I think you should always have something that gives you confidence - my new go-to item to cheer me up is this pair of glitter ankle boots, every time I put them on I feel a little bit fancy! Find Dani here; blog & twitter. Michelle of Creature Type - Must Haves // Pastel Colors: I've been feeling the need to dress extra sweet and sugary lately to combat the winter dreary-ness! 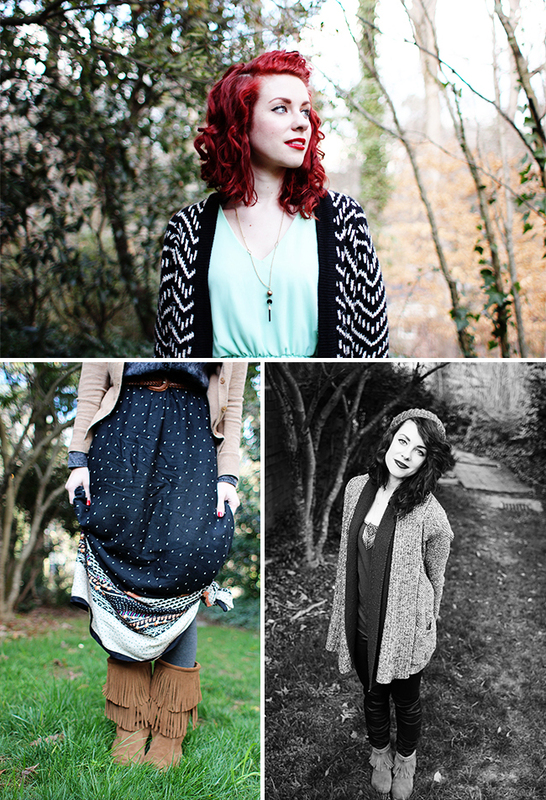 From my pink tights to my minty scarf, everything is cozy ,but happily colored! Tegan and Sara's "Heartthrob": Tegan and Sara have been one of my very favorite bands for years and I have a lot of happy memories listening to them with my best friend. I've had their wonderful new album on repeat for weeks! Find Michelle here; blog & shop. Ashleigh of Lovestoned - Must Haves // Right now I am shopping for new flatware and found this really amazing set. The birch handle is my favorite - it's something that my husband and I can actually agree on, shocker! Now if I could just get him to let me buy it! I'm also in desperate need of some sunshine right now. How long can winter go on?! As much as I want to break out all my maxi skirts and tank tops I will be happy to just surround myself with fresh flowers and doodles. I am so in love with all of the journals from Minted, especially this brightly colored one! Find Ashleigh here; blog & instagram. April of Jototes - Must Haves // Q&A a Day Journal and Urban Decay Naked 2 eyeshadow palette. Find April here; facebook & pinterest. Amanda of Amanda K by the Bay - Must Haves // I've had my eye on these pretty lacy suede oxfords for spring, and I would love a throw pillow for my new couch! Find Amanda here; blog & pinterest. Beth of Until Only Love Remains - Must Haves // My two "must haves" this season are a pair of the new GAP skimmers (I am just in love) and Burts Bees Chapstick (A must have in the Colorado winters!) Find Beth here; blog & facebook. Nat of Modern Buttercup - Must Haves // This season, my two top picks are Lush's Sweet Lips sugar scrub and Burt's Bees hand salve! These two products are some of my absolute favorites, and I don't know how I would survive winter without them. They're lifesavers! Find Nat here; blog & twitter. Christine of Flapper Girl - Must Haves // Haley Doc Marten Boots (my favorite boots) & "Waiting for Something to Happen" by Veronica Falls (my current favorite album). Find Christine here; blog & shop. Liz of Donna's Decembers - Must Haves // The soda fountain dress from Modcloth that is the perfect shade of yellow and a fresh copy of The Great Gatsby to read before the movie hits theaters! Find Liz here; blog & shop. Magen of Crumpled Fantasies - Must Haves // LUSH lip scrub for my dry winter lips and a Hello Apparel sweatshirt to keep me warm and comfy until the weather warms up! 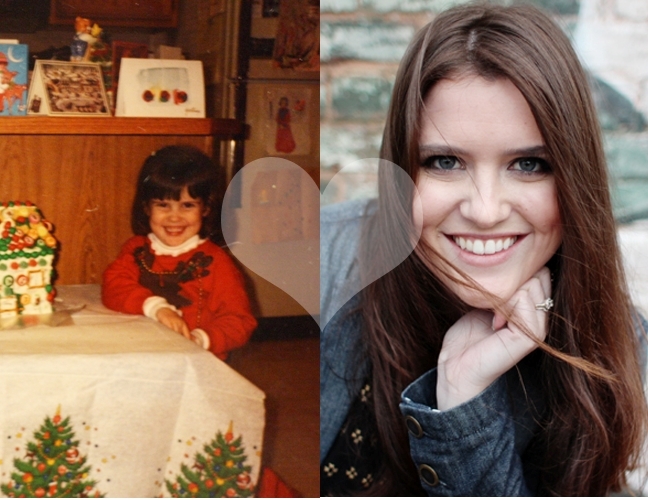 Find Magen here; blog & twitter. 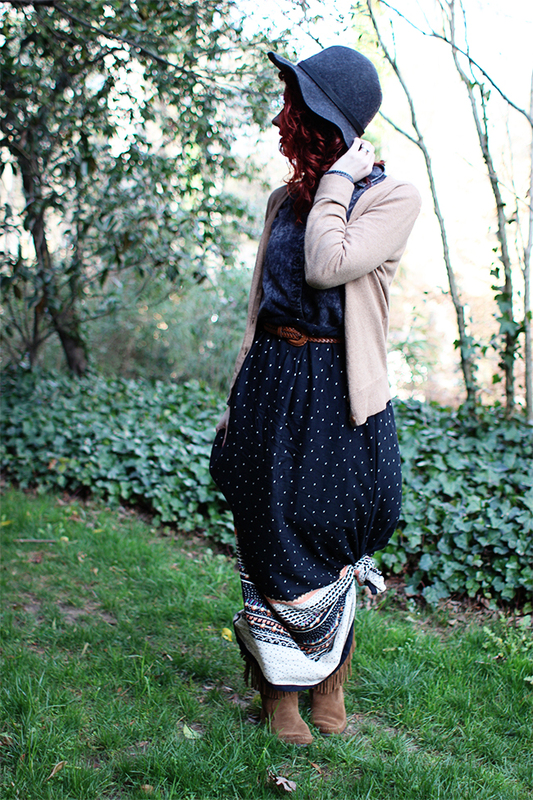 Mia of Mia Malene - Must Haves // Black Converse: I am a Converse-addict. I own a ton of them in a ton of different colors and different versions. Oddly enough, I don't wear most of them. But my black low cuts seem to be glued to my feet; especially during this season. Which is weird seeing as everyone is walking around in their warm boots, trying to stay warm. Me, I just need my converse and I'll be happy - and a warm jacket of course! Volbeat 'Beyond Hell/Above Heaven': Volbeat is a Danish band that I absolutely love. Their music is truly amazing and I've attended a few of their shows. I am currently waiting (not so) patiently for their new album so while passing time I'm listening to this album on repeat; the perfect way to start and end my day. Find Mia here; blog & twitter. Poly of This Enchanted Pixie - Must Haves // Lush Mother's Day in Paradise gift box and the new Rising Appalachia album. Find Poly here; blog & shop. Last week was my first week working for Maiedae full-time! I took Monday off to get a little R+R from my work trip and had some time with Jon, but I started off Tuesday ready-minded and excited! It was a long and rewarding Tuesday-Thursday working for myself and doing what I love. I've still got some balancing to figure out, but overall I'm feeling really great about my weekly schedule and transition. :) If you read this post, you know that I got sick on Friday. :( It was good to just rest-up, but I was definitely itching to get back to work! This is going to be my first full week of work and boy, am I ready! Jenny and I have a lot of prep work to do to get the Maiedae Mixer site up and running to launch ticket sales on March 1st! We are SO excited about this event. Things are really coming together and it's not going to be something you'll want to miss! So, if you are a blogger//creative be sure to check out this initial announcement post and mark your calendars for the March 1st ticket sales! We will only be selling 50 tickets, so make sure you get yours! Snapshot(s) of the Week: 1// Ugly, but yummy green smoothie for breakfast with spinach, bananas, chia seeds, coconut milk, and ice! 2// My favorite desk items while working. Idea book/schedule, whole living magazine and peach baby lips. 3// I get really excited when I find a bracelet that doesn't look odd on my wrists. 4// Sick day dinner. Chicken noodle soup and a couple fishy crackers. 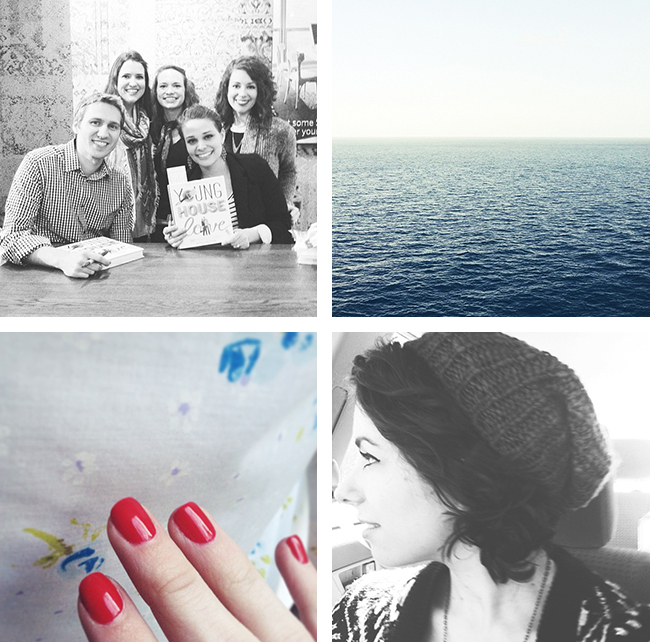 * Speaking of Zoella above, I might as well just make her my favorite blog of the week. I've been loving her youtube videos and makeup tips all weekend! * Beauty - I've been loving and super inspired about learning more about makeup and beauty products lately. * I had a little "love myself" mini shopping spree this weekend and bought new make-up and LUSH goodies. * Really, REALLY want to see the new "Fantasyland" at Disney. This morning I woke up and felt like rubbish. The night before I had a wonderful coffee date with a friend, made plans to be productive in the morning and finish out my first week strong as a full-time small business owner. I felt a little funny before dosing off to sleep last night and then woke up a couple times during the night feeling off...and then the morning came. Most mornings Jon and I can burry our heads in our pillows, put on a little static background noise and get an extra hour of sleep in, but this morning for some reason hit me all at once, I think I might have gone mad. Stumbling through our bedroom to the shower, I had that "feeling" come over me...today was going to be a sick day and more than likely I would be good for absolutely nothing. Sometimes it's hard to take an unplanned day off and force yourself to get well so you can heal and get all of the rest you need. I finally submitted to what my body was telling me, crawled back into bed right out of the shower and haven't gotten out since. I'm feeling loads better and plan to be back on my feet tomorrow but am thankful I took some down time today to get well. 1. Nothing - If you don't have the energy to read, work or think...just don't do anything. Try and get some sleep, lay still and just try to be as peaceful as possible. 2. Listen to Your Mother - I might not want to drink any water, take any medicine or eat a thing...but try and do whats best for your body. Stay hydrated and let your insanely amazing body work on the getting back to normal process. 3. Watch YouTube - Once your brain starts functioning somewhat normally and you are well enough to actually watch something, go to YouTube! Of course there is Hulu and Netflix, which are brilliant, but I've found a new obsession (thanks to my sister) on YouTube watching beauty and fashion videos. Currently loving this, this and this channel. 4. "Window" Shop - Since your stuck in bed, might as well browse the internet and do a little online window shopping. Sometimes it's just fun to put things in your cart or on your wish-list and never actually buy a thing. I DID however get inspired and bought myself a small haul of "love myself" goodies from LUSH. Omg I love that shop. And now, with that, I'm going to take my own advice and do "nothing" by going to sleep. :) I wish you well and all the best in your health! I hope you have a wonderful weekend friends. 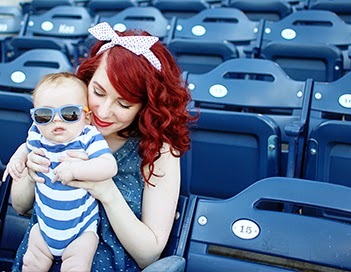 I was so excited to be featured in Minnetonka's blogger spotlight this week! I love wearing their moccasins and I'm excited to be able to giveaway a pair of their new 2-layer fringe boots courtesy of Minnetonka! These boots are my new favorite and I love pairing them with a patterned maxi, skinny jeans, or with a giant sweater and leggings. See below for details on how to win these lovely boots in your favorite color! 1. Like Minnetonka on Facebook. 2. Follow Minnetonka on Twitter. 4. Follow Maiedae on Twitter. Best wishes and thank you, Minnetonka, for the awesome giveaway!! 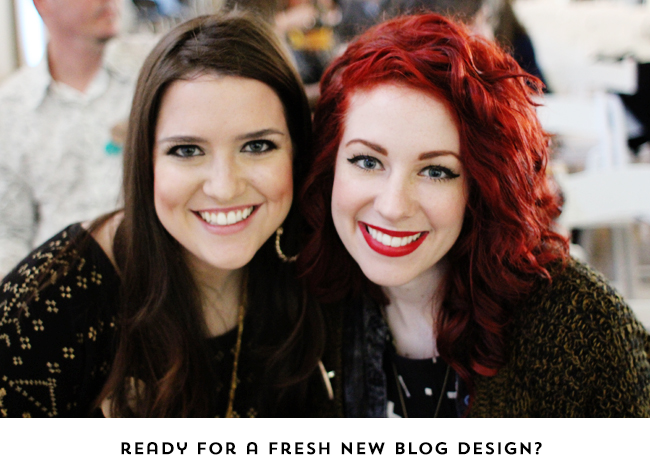 Jenny and I are so excited to announce that we are officially offering Wordpress blog design services!! We've been designing on the Blogger platform for almost two years and have wanted to expand our offerings for a while now, but wanted to wait until we were in a good place and had a great developer to make it happen. We will be offering "boutique" design services for Wordpress blogs. Your new look will be completely customized and developed professionally by a Wordpress specialist. We are so excited to begin working with clients on this new platform and really create beautifully unique designs just for you! On top of offering a custom design and professional development we will also be offering full blog transfer services if you are wanting to move your home to the Wordpress platform as well as hosting services which will allow us to make annual maintenance and have easy access to work with you for any tweaks and changes you might need over time. The design process is easy and fun! We begin by providing you with a thorough PDF that outlines our Wordpress package options, pricing, and next steps. Once you decide to move forward, we'll send along homework questions that will help us understand your sense of style and desired brand for your new space. After your homework questions are complete, you will be assigned a designer that will work closely with you to create something you LOVE. 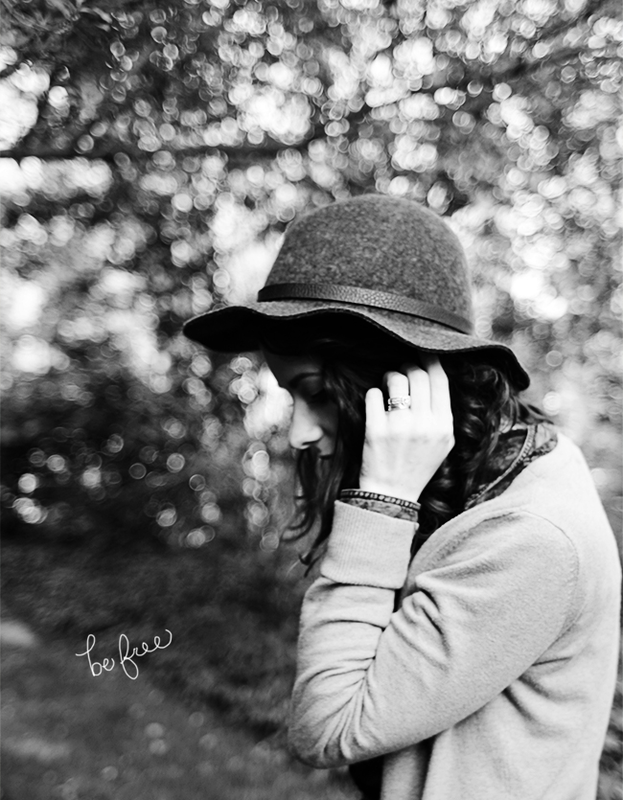 Your designer will either be myself or my amazingly talented business partner, Jenny. To check out some of our previous design work, please take a look at our design portfolio. Once a designer begins working with you we will create a "mock-blog" that will allow us to work through the revision process. Once we get to a design you are 100% happy with, we will finalize and send everything off to our developer who will make it come to life! Upon completion of your project, we provide you with a file of your blog assets (banner image, shareable widgets etc. ), a "Tips & Tricks" PDF that outlines custom tips on using your new space and blog support! Blog support is there to offer you free tweaks and small changes on your design once it's installed. If you need to change a color or add in a new welcome photo, no problem! We also archive all of your design assets so if you ever need a redesign or any major changes made, we are happy to assist! Can you tell we are excited?! If you're interested in getting more information about our Wordpress blog design packages please email our lovely assistant, Leah, and she will be glad to provide you with our Wordpress PDF! Her contact information is: leah@maiedae.com AND as a special promo for our big announcement we will be offering the first 3 people who sign up for a Wordpress design $200 OFF of their package price! Heck yeah!!! If you have any questions, please note that our www.maiedae.com website hasn't been updated with this information but we are happy to answer any questions you might have! Feel free to tweet me @maiedae or shoot me an email! 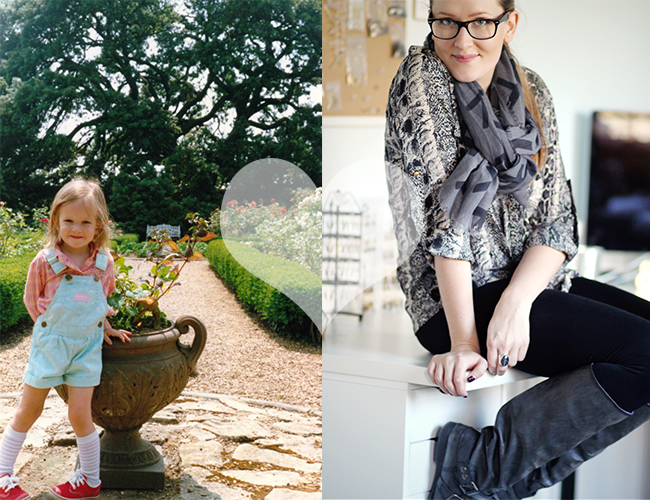 I'm so excited to announced that I'm the Minnetonka Blogger Spotlight! 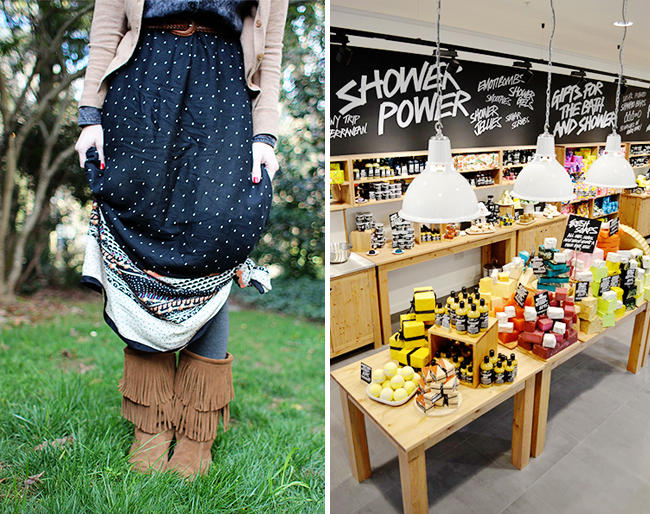 Minnetonka is one of my favorite companies and I'm so excited to be featured this month. I love their shoes and am always impressed by their quality and style. Check out the interview and spotlight feature on their blog here. 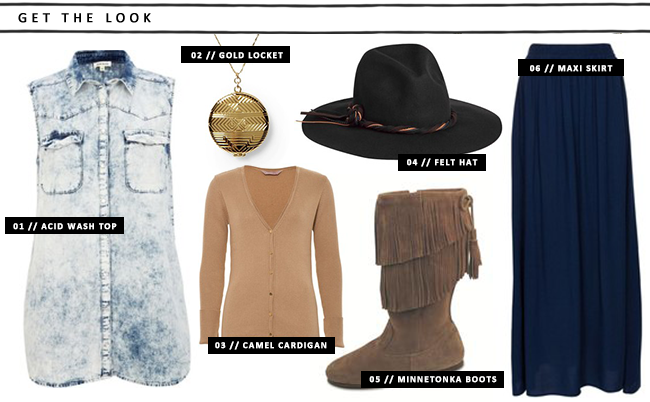 See other ways I styled Minnetonka's here, here, and here. Also, be sure to come back later this week for a chance to win a beautiful pair of Minnetonka boots of your own!! This past week has been truly an exciting time. I finished up my last work week for my 9-5 job. On Friday, I turned in my work computers, parking passes, and took my last pile of books out to the car. Driving home on Friday, it hit me briefly that this was it! I haven't thought about it much over the weekend. Since I was out of town for the week I spent a lot of down time with Jon resting and hanging out. Yesterday morning I woke up and thought to myself..."oh....my...everlovin', I quit my job!" Haha, I think everything will really hit me tomorrow morning when I officially start Maiedae full-time. I'm SO excited!! * My So-Called Freelance Life by Michelle Goodman. - I've loved gleaning as much advice about this transition time as possible. Michelle's book is full of great resources and experience. * I've been watching the IT Crowd a lot this weekend with Jon. I love that show! * To lounge around the house: I love wearing one of Jon's hoodies, leggings, and giant socks. * I get headaches if I sleep too long. 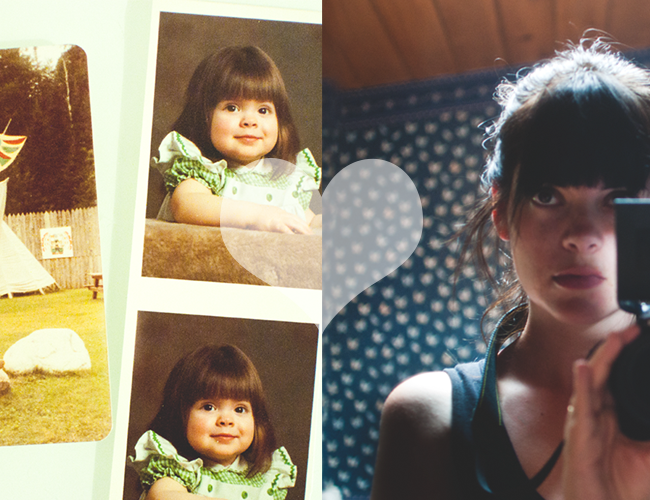 I loved seeing the response to the "Dear Little Me..." series. It was so wonderful having each blogger share such a special letter with us AND be able to see their cute faces when they were little. While that series is wrapped up for now, I encourage you to write your own and show yourself some love this month! Today I have a lot to celebrate. Today is my last day at my 9-5 job. What?!!! I'm taking a long weekend off and then Tuesday I will begin full-time work with Maiedae! I'm so unbelievably excited. I'm so thankful and blessed to have such a wonderful husband and business partner that fully support me. Jenny, I'm counting down the days until you're full-time with me!!! To celebrate Maiedae and all of the exciting changes AND as a gift to you wonderful readers. 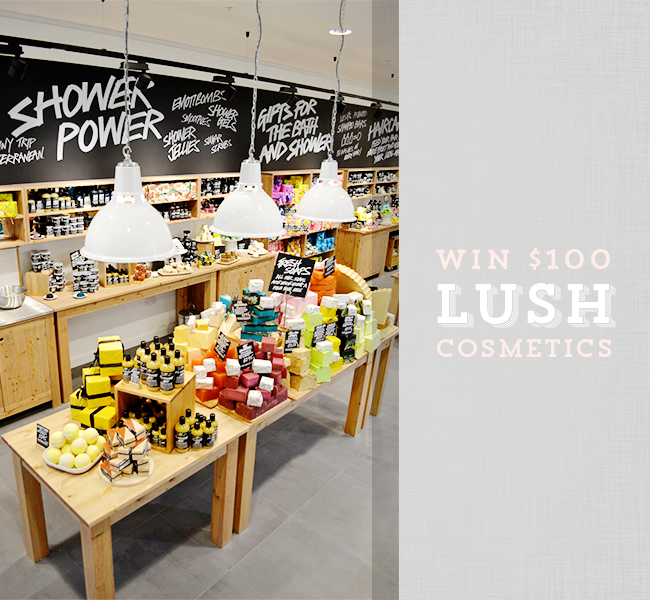 I'm giving away a $100 gift card to my favorite beauty product shop, LUSH. As a belated Valentine's gift, one lucky reader will be able to purchase lots of "love yourself" goodies. I'm seriously in love with LUSH products...I discovered them a couple months ago thanks to my friend Kate and am obsessed with their amazing fresh handmade cosmetics and body products. :) Some of my favorites are Ocean Salt face scrub, Mint Chocolate lip scrub & Angels on Bare Skin daily face wash.
One winner will be chosen at random and announced within a week, winner will receive a $100.00 gift card to LUSH! Open internationally. This is not a sponsored giveaway. 1. Like Maiedae on Facebook! Don't ever loose that big smile and joyful heart. You are full of life and you will bring that life and laughter to others. Life will bring many struggles, but never loose the joy in your heart. You are strong and can withstand a lot more than you think. Just remember that God has given you a deep purpose that is worth living. You have the capability to love others very deeply and unselfishly. Be patient and don't get too caught up with boys too early. Heed your daddy's advice and protect your heart. You won't fully understand until you're married, but trust me. Your heart is a precious gift and one worth protecting. It's okay to be silly and unique. Don't fear what everyone else thinks of you. The popular kids won't like you many times, but that doesn't matter in life. Be different and creative. Your eye for beauty and passion for art will become part of who you are. You should not be afraid. You have been strong since you were born. You are going to face so many incredible hardships and obstacles in your life. And at the tender age of 6, you already have dealt with so much. You have already grown up so quickly and have taken on the role of adult. But with each hardship, you will gain greater compassion for those around you and you will see more deeply your greater purpose in life. Your sacrifices were so worth the love you were able to give. You were born with a beautiful sensitivity towards others and your ability to bring comfort and love to others through your comedic personality and your dept of kindess will stay with you forever. When you are a grown up, you will understand the power of allowing yourself to be vulnerable. You have had that power inside of you since you were tiny because it is your natural tendency to want to connect to others on a deeper level in an instant. When you were little, you were very fearful of being vulnerable, afraid that it was a path through which others could hurt you. But as a grown up you will see that you are the only one who is in control of your vulnerability. It is a channel flowing out of you with which you harness strength and love. And your vulnerability will do so many good things for others. My little self, you are a wonder. I am so proud of who you are, who you remained during all of the hard times, and the person I now am because of you. Your pains were worth it all. And you will grow to understand happiness and peace like you could never imagine. Having the benefit of being you for some time, experiencing all that you have experienced, and knowing what you have yet to know, I have a few loving words of wisdom to share. First, the world is a big place. It is so much larger than you can see with young eyes. The small bruises you take from this journey are much easier to handle if you can see beyond yourself. What feels like a crushing blow to your heart or your ego isn't really so bad. It doesn't even register in the big picture, and one day, you'll hardly remember any specific moments of unhappiness. Secondly, don't worry that not everyone you meet will want to be your friend. It's not about what's missing in you, it's just a fact that some personalities aren't meant to work together. You'll find your "right" people when you start to believe in yourself and value the good traits you have. Lastly, you are resilient and unflappable. It's a trait that you won't become truly aware of until you're older. One day someone will point it out to you, and you'll realize that it's true. It's OK to be a bit tough, as long as you don't let it get in the way of the times when you need to be kind. Never forget to first be kind. So, little me, although I wouldn't suggest changing too much about the way you do things (the butterfly effect is said to throw things off kilter) I want you to know that there is a lot of love waiting for you in the future. Not only will you be loved by others more than you could have ever imagined, but you'll love and respect yourself more too. Believe that you deserve good things and keep truckin', little one! As you always suspected, things will turn out right. Oh how funny you are. I love how odd you are and that will always be a part of you. The good news is the older you get the cooler being "different" is! Your perspective will challenge people (mostly your parents) and will be refreshing to others. It will make you the weirdo in the neighborhood with chickens in your backyard but it will also empower everyone around you to find out who they really are. 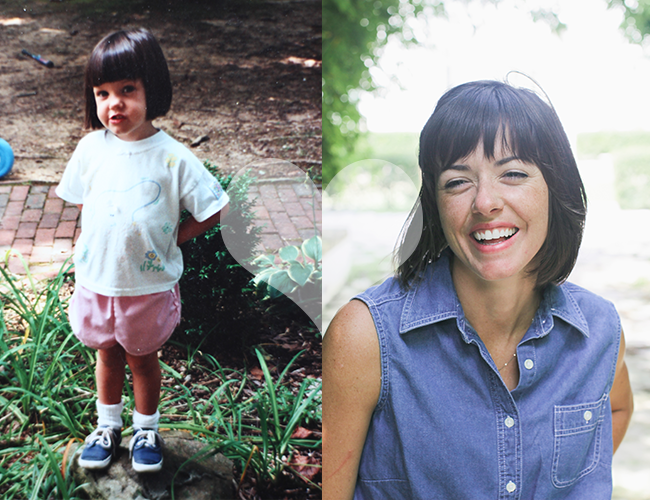 Another thing you need to learn to love would have to be your bangs. You will have them forever. You will, however, graduate from a bowl cut so that is great news. What I love most about you, though, is your sense of adventure. Being able to spend all day outside building forts and making a mess of yourself is way more fun then playing dress up (though you will do that too). That sense of adventure will take you on travels all the way to Uganda, to go hiking in Arizona, and to marry your best friend and move away to a tiny island where you only need bikes. It will be a blast and that is only the beginning! Enjoy yourself and laugh a lot. Let the little things go.